Take one of art history’s most characterful legends -­‐ Salvador Dali -­‐ and one of literature’s most treasured characters -­‐ Alice in Wonderland -­‐ and here is the start of a magical journey into shoes. Designer, Farah Sultan unearthed a rare copy of Dali’s 1969 illustrated series for Lewis Carroll’s fantasy masterpiece and became enchanted by the gouache works. The liquid lines and molten forms that depict the 12 chapters including The Pool of Tears, Advice from a Caterpillar and Down the Rabbit Hole proved a lesson in surrealist story-­‐telling. The upshot is a collection that journeys through time, merging stylistic and decorative tropes to delight both the eye and the mind. At the heart of the collection is ‘the bottine’ or buttoned boot that was the height of fashion in Alice’s time, circa 1865. The dramatic sinuous silhouettes are crafted to show off the foot and above all, the ankle. 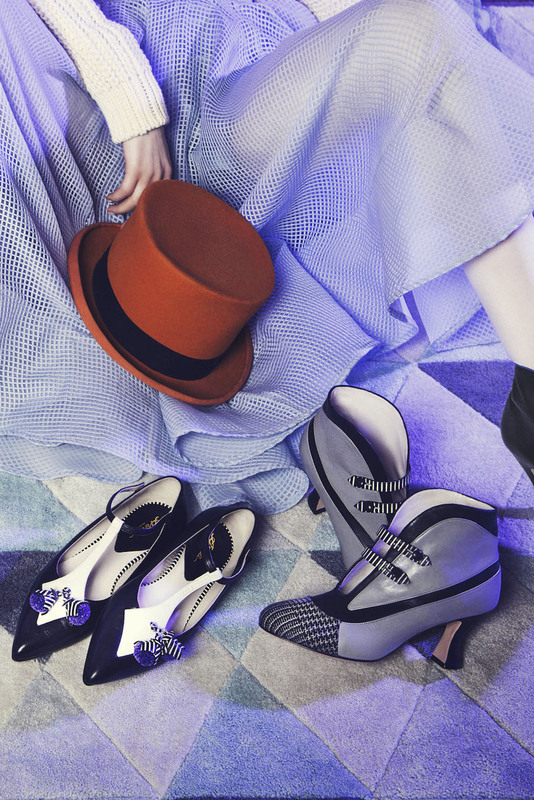 Styles include the Belle in grey patent leather with a jaunty striped toecap and a two bar fastening and Alice. This trompe l’oeil round toed design is fastened with a trio of cherry red rosettes and appears like a boot from head on yet is secured by a slender sling-­‐back. 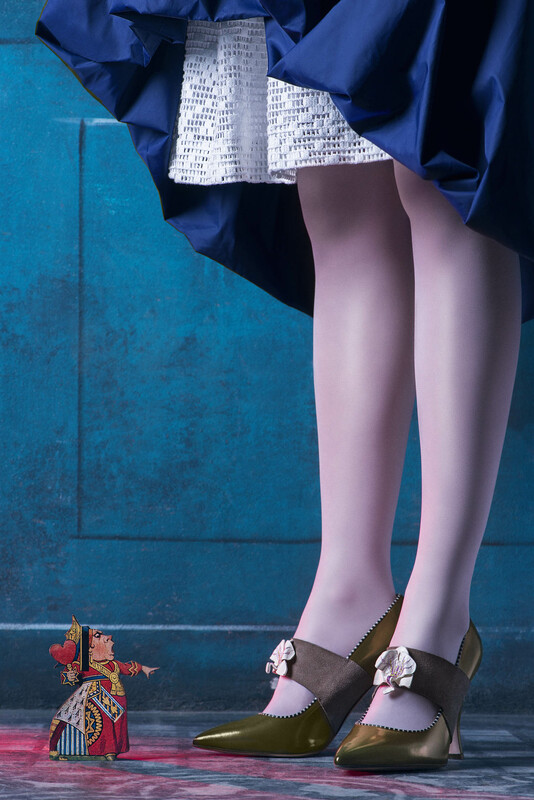 In Alice’s world, ‘reality’ is not what it might seem. An everyday staple (ideal for falling down rabbit holes and playing croquet with a flamingo) is the Lin boot. With its 7cm heel, horizontal striped heel and swinging tassels; it promises to turn even the most mundane of days into an adventure. Sultan also expands her genre of city smart heels including the Chantel. This pointed toe, high vamped spectator design is crafted in tonal shades of blue and detailed with Arnaa’s signature contrast piping and playful graphic striped tassels. 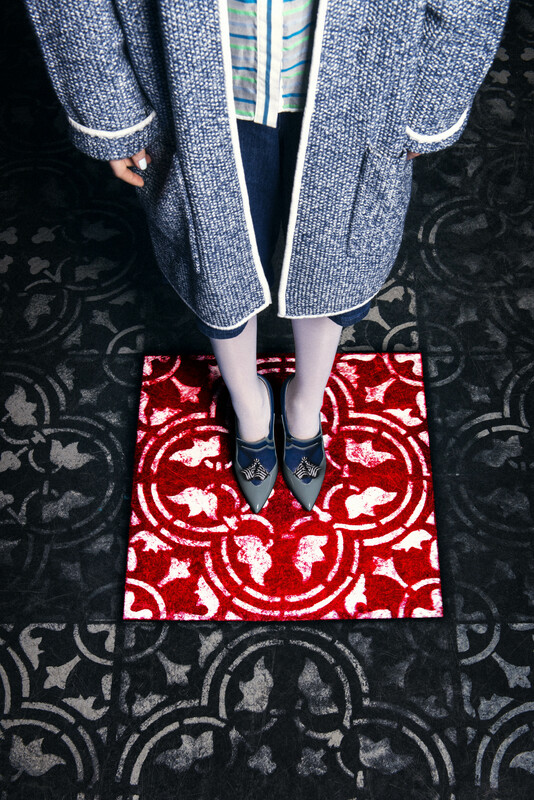 The style is an admirable match for Fall Winter’s cropped tailored trousers and the new Edwardian era calf length skirt. Sultan has also introduced Bliss, a new T bar design that fastens high around the ankle. The stripy anklet strap, and embroidered flowers that decorate the elongated bar add a typically whimsical touch. Sultan, who was born and raised in Kuwait city and trained in footwear at Ars Sutoria in Milan, insists on both comfort and delight. Her shoes are ergonomically designed and incorporate hidden internal cushioning and sculpted heels. Launched in 2015, the Arnaa brand is a handcrafted ‘Made in Italy’ collection that fuses artisan skills with innovate shapes and decoration. Arnaa is currently stocked in luxury department stores and boutiques in London, Milan and the Middle East.